Abuja — Human rights lawyer, Femi Falana (SAN) yesterday said about 60.2 million barrels of crude oil were stolen from the country between 2011 and 2014. Speaking at the 40th anniversary of the Petroleum and Natural Gas Senior Staff Association of Nigeria (PENGASSAN), Falana noted that the stolen product passed through the Philadelphia Port in the United States of America (U.S.A.). Also, National President of PENGASSAN, Olabode Jonshon, said the union would engage the Federal Government and legislature on how to evolve a new beginning for the passage of the Petroleum Industry Bill (PIB). "We supported the new Joint Venture (JV) cash call framework and the Nigerian National Petroleum Corporation (NNPC) reforms. Currently, we are engaging the executive and legislature on the passage of the Petroleum Industry Bill (PIB)," Johnson said. On the revenue losses to crude oil theft, Falana said: "The Nigerian Maritime Administration and Safety Agency (NIMASA) commissioned a study about seven years ago concerning millions of barrels of crude oil that leave Nigeria unaccounted for. 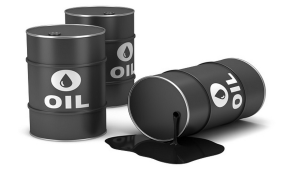 "The study found that between January 2011 and December 2014, 60.2 million barrels of crude oil left Nigeria that were not recorded, but were recorded to have been discharged at the Philadelphian Port in the U.S.
"It revealed that the value of the stolen oil amounted to $12.7 billion. That was oil discharged in just one port. We have identified the oil majors that were involved and we have also identified the shipping company. "But since 2014, we have been begging the Federal Government to recover the money and nothing has been done. The money lost in U.S, India, China and other ports where our oil is discharged exceeds $100 billion. "We wrote a petition to the Economic and Financial Crimes Commission (EFCC) that while they are busy recovering small money from politicians, this is the real money available to Nigeria, but unfortunately, no action has been taken," he stated. While urging the Nigeria Labour Congress (NLC) and the labour movement to lead the battle for recovering outstanding crude oil proceeds, Falana said Nigeria is also losing huge revenues due to the non-implementation of Offshore and Inland Sharing Formula Act enacted in 1999 but was backdated to 1993.